The 2018 PyeongChang Winter Paralympics to kick off Friday. March. 05, 2018 07:53. by Yun-Cheol Jeong, Hong-Gu Kang trigger@donga.com,windup@donga.com. The Paralympic Games will be staged in Pyeongchang, Gangneung and Jeongseon for 10 days from March 9 to March 18. It is the largest Winter Paralympics where 570 athletes from 49 countries will compete in 80 events of six games. Including committee members and journalists, 25,000 people will participate in the games. All athletes will be accommodated in the PyeongChang village this time, whereas the Olympics needed both the PyeongChang and Gangneung villages. The opening ceremony will be held in the PyeongChang Olympic Stadium at 8 p.m., Friday. The slogan is “Passion Moves Us,” which means passion motivates everyone, including the disabled. 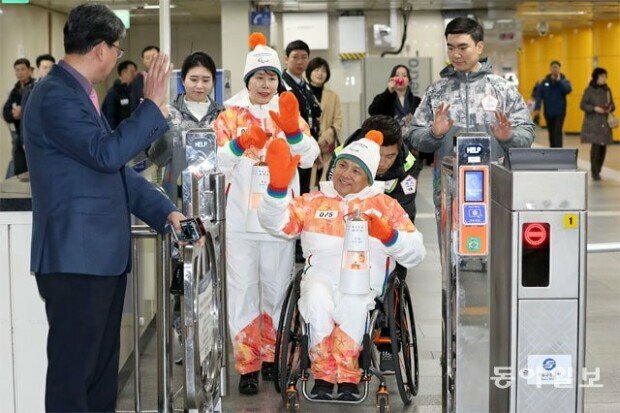 “The Paralympics should be an event to promote respect for humanity,” said Lee moon-tae, director of the opening and closing ceremony of the Paralympics. “We will create ceremonies where everyone participates in harmony as the sun and moon shine for everyone.” The ceremonies will feature a spectacular light show using LEDs set up in the stadium seats and a performance of more than 100 children from Gangwon Province.